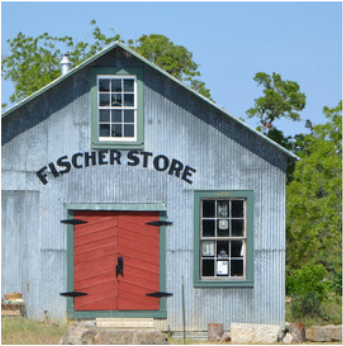 In 1853, German immigrant Hermann Fischer filed a claim on 160 acres in northern Comal County. 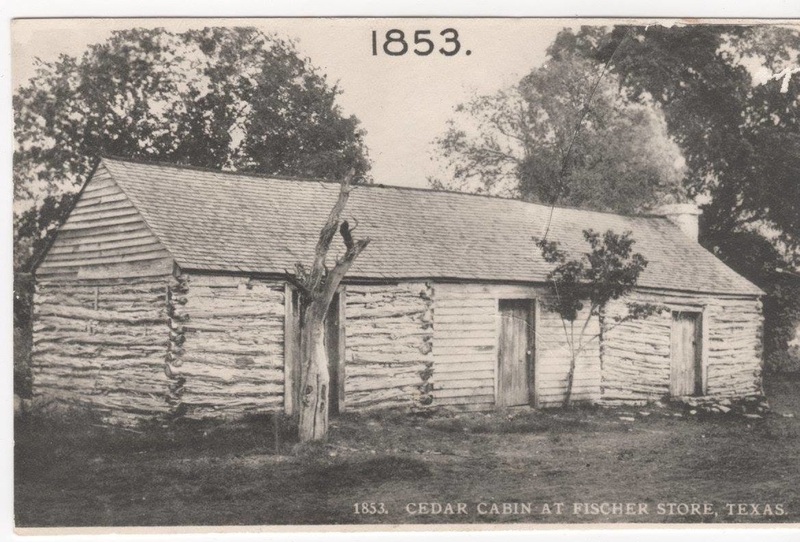 The first settler in the area, he built a log cabin with two rooms and a center dog-trot. Hermann then opened a mercantile store in one end of the cabin. A larger log house was built later, and the cabin’s dog-trot was enclosed as the business grew to fill the entire building. 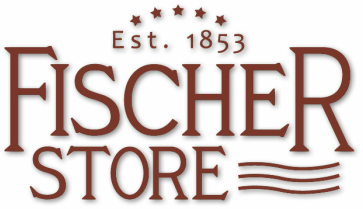 The area became known as Fischer’s Store. 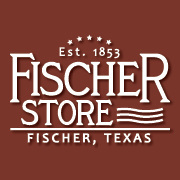 The current Fischer Store was built in 1902. It was originally meant to be a warehouse for farm implements and other inventory. However, the business was already outgrowing its second location, so the store and post office moved into the new metal building. The saloon remained in the second building where it operated until Prohibition. By then, almost all travelers between San Marcos and Blanco traded at the store. 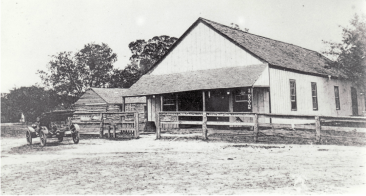 At one point it was the biggest mercantile establishment in Texas, employing 16 clerks and handling farm machinery, threshers, household goods, and groceries.